Pain is a warning signal that something is wrong and out of balance in the body. Medication can alleviate the pain temporarily. However, treated in this way, the source of the pain will very likely become chronic, leaving the underlying problem untreated. Rest can be helpful, but healing may be slow and it is possible that the pain may return if the wrong type of physical activity is resumed too quickly. Sometimes, for more serious problems, surgery may be the best choice. However, surgery can be risky and expensive, and there is no guarantee that it will be effective. One of the most common conditions for which acupuncture is used successfully is for pain conditions. Acupuncture works on pain relief in a number of different ways. Research has shown that acupuncture increases the production of endorphins. Endorphins raise the pain threshold, making it easier to tolerate pain. Acupuncture can also improve circulation to a specific area, to speed up the healing process. Generally, the sooner you start treatment after the onset of the pain, the quicker you will get results. Arthritis, wherever it occurs, is a condition that can respond excellently to acupuncture. The early symptoms are those of localized aching pain, tenderness, and stiffness. These fluctuate from day to day and may cause varying degrees of disability. Internally, there are often changes within the cartilage and joint capsule, with formation of bone spurs (osteophytes). The muscles respond to the pain by contracting and shortening, which then may cause tenderness, sore muscles, and eventually deformities. In early osteoarthritis, acupuncture treatment tends to get quicker results. If osteoarthritis has caused changes in the bones, the results will come more slowly. Back pain is one of the most common health complaints. Back pain can have a number of different causes. The most common are strains from lifting, exercising, or simply moving in the wrong direction. In this case, the lower back is more likely to be injured when the muscles of the back and the abdominal muscles are weak. Another possible cause is osteoarthritis. Bulging or herniated discs and bone spurs can also cause back pain and stiffness by pressing on nerves coming from the spine. If the sciatic nerve is pinched, inflamed, or damaged by any of the above causes, there may be a sharp pain which radiates down into the leg, called sciatica. Yet another cause of back pain in older patients is spinal stenosis, the narrowing of the passageway that contains the spinal cord. Acupuncture can increase the production of endorphins in the brain to decrease the pain response. It can improve circulation to speed up the healing process and it can relaxe the tightened muscles in the back to relieve some of the stress that may cause pinching of nerves exiting the spine. Knee pain is most commonly due to either arthritis or injury. Often a knee which has been injured in the past can develop arthritis, so it is important to treat an injured knee to prevent the problem from becoming chronic. Steroid injections may offer great relief, but only for a short time. Repeated steroid injections are generally not encouraged because the side effects build up over time. Other causes of knee pain may also respond to acupuncture. Many patients feel relief of their knee pain to some extent after their first treatment, but for most it takes a series of treatments to offer more long lasting relief. The most common causes of neck and shoulder pain are injury and stress. If neck pain is due to an injury, such as a motor vehicle accident, the neck muscles may be stretched too quickly and too strongly, resulting in chronic muscle pain and reduced range of motion. Likewise, an injury of the rotator cuff muscles in the shoulder may cause chronic muscle pain and reduced range of motion in the shoulder joint. Rest and time may help, but in many cases, more is needed to actively treat the problem. Generalized stress tends to gather for many people as muscle knots in the area between the shoulder and the neck, especially for people whose occupations involve working with the computer, lifting objects, or driving for long periods of time. Neck and shoulder pain can cause compression of the nerves supplying the arm and hand resulting in numbness, and weakness in the arm and hand. Neck pain can in some cases cause dizziness. Acupuncture can increase the production of endorphins in the brain to decrease the pain response. It can improve circulation to speed up the healing process and relax the tightened muscles in the neck to relieve some of the stress that may cause pinching of nerves exiting the spine. Carpal tunnel syndrome is a painful compression of a nerve as it passes through the wrist, commonly caused by repeated forceful movements, leading to numbness, tingling and pain in the fingers. A burning and tingling sensation may be felt in the arm and shoulders. Western medicine treats carpal tunnel syndrome with steroid injections or surgery, but acupuncture is a less invasive natural treatment that can provide significant relief without side effects. TMJ is the term used to describe pain in the joint that moves when the jaw is opened and closed. This involves swelling, limited range of motion, muscle spasms, earaches, teeth grinding, facial asymmetry, clicking noises, and occasionally ringing in the ear. Common causes of TMJ pain involve trauma, dental procedures, stress, arthritis, or excessive grinding of the teeth. Western medical treatment consists of temporary relief from anti-inflammatory drugs, and bite guards. Acupuncture helps TMJ through relaxing the muscles specifically involved in the jaw, and by treating generalized stress. Headaches are one of the most common medical problems treated by acupuncture. Headache may be caused by a number of different reasons, including stress and tension, hormonal imbalance, trauma or motor vehicle accidents, sinus problems, and eye disorders.. For headaches or migraines which are related to the menstrual period in women, acupuncture is used to regulate the hormonal balance. Migraine headache is a more severe headache, usually throbbing in nature, on one side of the head, which is worsened by physical activity, light, sounds, or smells and that is associated with nausea and vomiting. Acupuncture can be used to relax the muscles and decrease the stress response in tension headaches. It also increases the production of endorphins, thereby decreasing the pain. Physical trauma, sprain, strain, overexertion, and repetitive injury can all be treated by Chinese medicine. These types of injury may cause problems for the future if not addressed quickly, or if exercise is resumed before the problem is addressed. Western medicine uses painkillers and anti-inflammatory medications to reduce pain and inflammation. These solutions are temporary and may have side effects. This can mask the pain and prevent healing. Acupuncture and Chinese herbs can be used to naturally eliminate pain and reduce inflammation, while encouraging soft tissue healing. 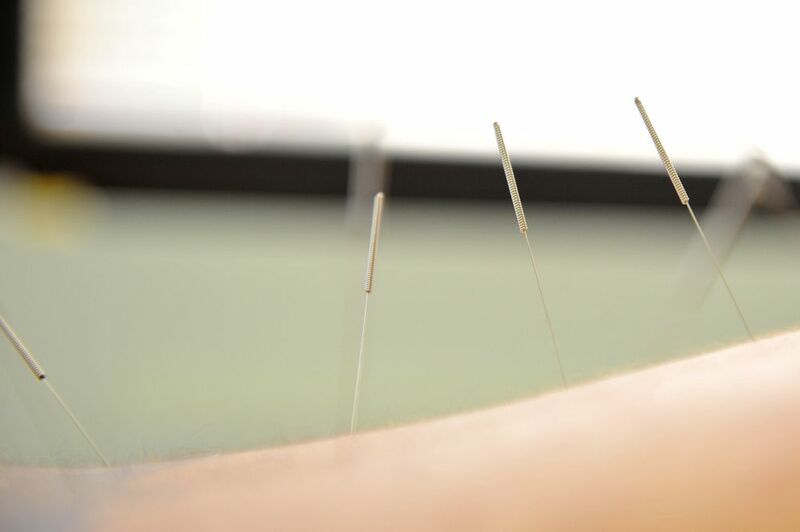 In addition to mobilizing the body’s natural healing response acupuncture can be used in healthy individuals to enhance performance and prevent injury. Acupuncture can be used to optimize health and provide a competitive edge in a natural way. This injury is the result of repetitive muscle activity, usually of occupational origin, involving the hand and the forearm. At first, the pain improves with rest, but over time, the pain interferes more and more with daily activities, and may result in loss of work and disability. Tendonitis is a related condition with pain caused by inflammation of the tendons, usually caused by repetitive tasks, or vigorous exercise. The western medicine uses painkillers and anti-inflammatory medications to dull the pain, and reduce inflammation. These solutions are temporary and may have side effects over time. Acupuncture and Chinese herbs can be used to naturally eliminate pain and reduce inflammation, while encouraging soft tissue healing. In addition to mobilizing the body’s natural healing response, acupuncture can also be used in healthy individuals to prevent future injury and reduce recovery time.